October | 2014 | Footwear Fashionista … a sneak peek into my shoe closet! 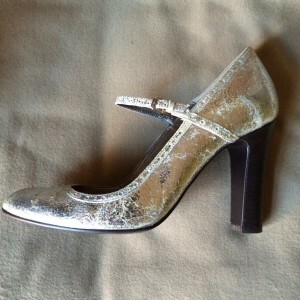 Italian made, distressed metallic-leather mary jane pumps from J.Crew 2009. 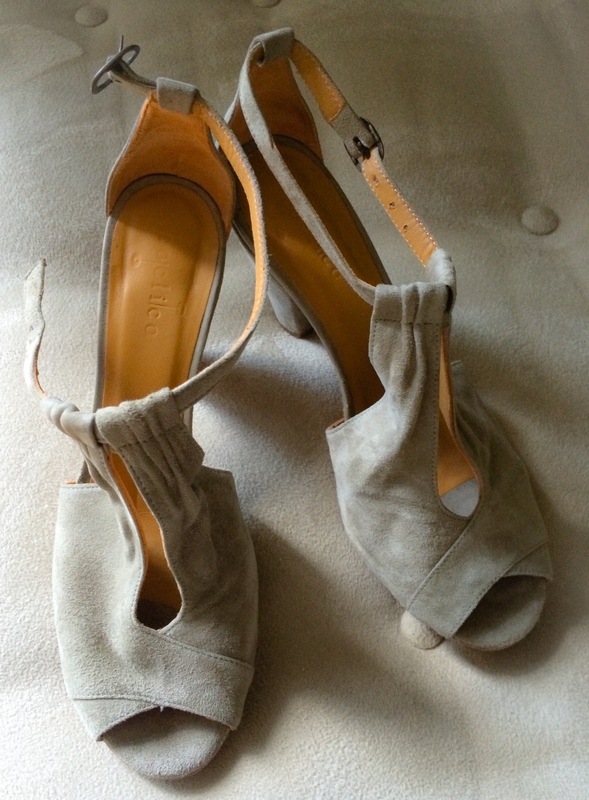 These stylish shoes have a vintage laid-back appeal. 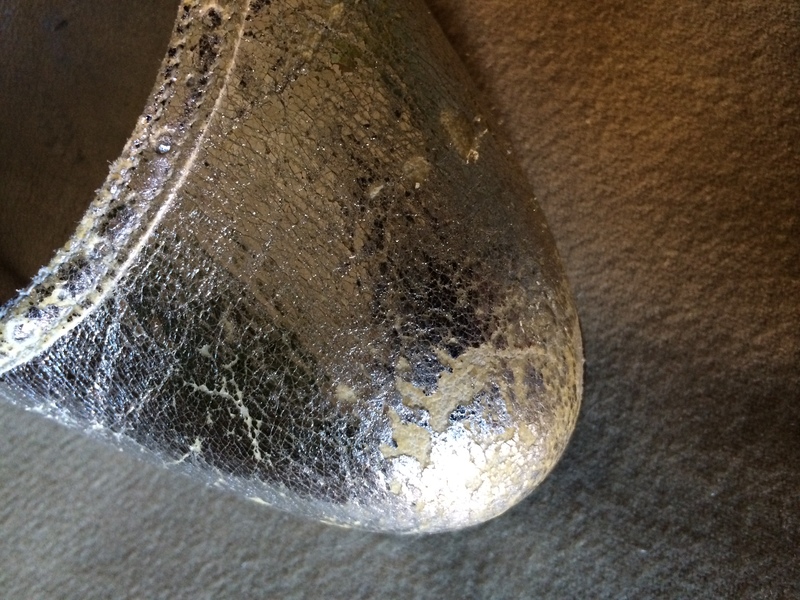 These are so unique with a lived-in, silvery cracked-leather-foil finish, yet richly contrasted with a stacked 3.75″ wood heel. 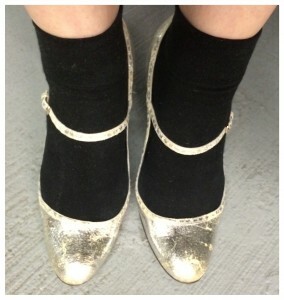 Dress them up or pair them with jeans … however you wear them, they are sure to add a little sparkle to your day. An updated look on a street wear classic by Vince. The “Blair 5” slip-on. These are just flat out chic! 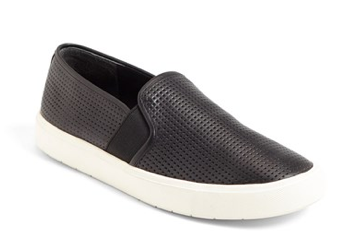 Low-profile perforated leather slip-ons anchored by a rubber 1″ platform sole. 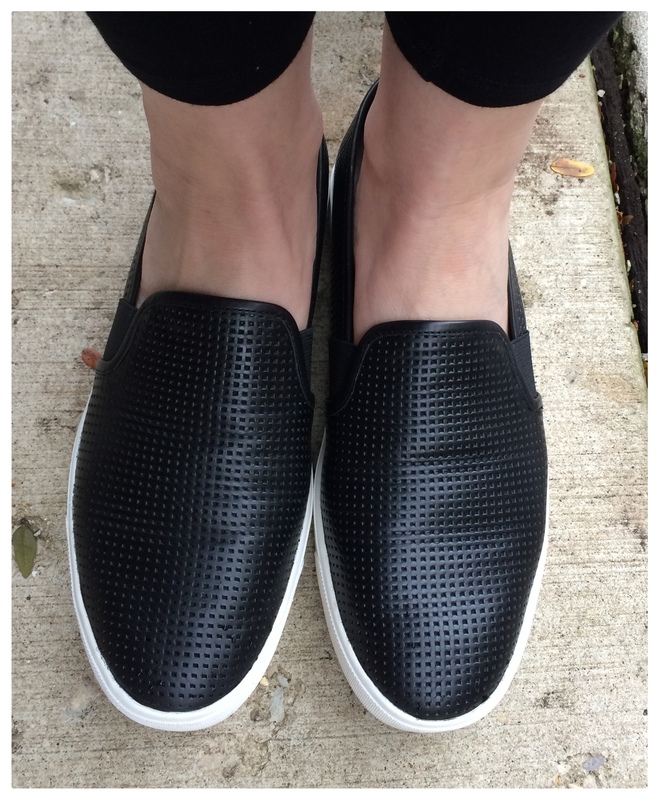 The notched vamp even has elastic stretch panels for slip-on ease and a comfortable fit. I’m not typically a fan of flat shoes, but this shoe actually has some arch support. Fit runs large, best one half-size down. These modern kicks will keep your ready-to-wear look casual, yet grounded. Quality … styled with modern minimalism. That defines Coclico‘s shoes. These open toe, peep vamp suede sandals are stunning in design and fabrication. 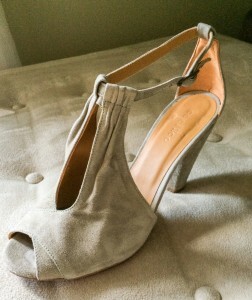 The color is a sage green/grey – a rich hue, especially in suede. 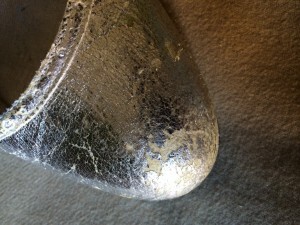 The heel is a modest 3.25″. Purchased in 2011, at a mere price of a nickel. That’s right, five whole cents! These are the least expensive shoes in my closet. City Soles in Chicago has a nickel sale at least twice a year. Buy a regular pair full price, get your second pair for a nickel! It’s a great time to stock up, however my size always sells out first. So when I find a deal, it’s a shoe in! Out of the box and into the shoe closet! 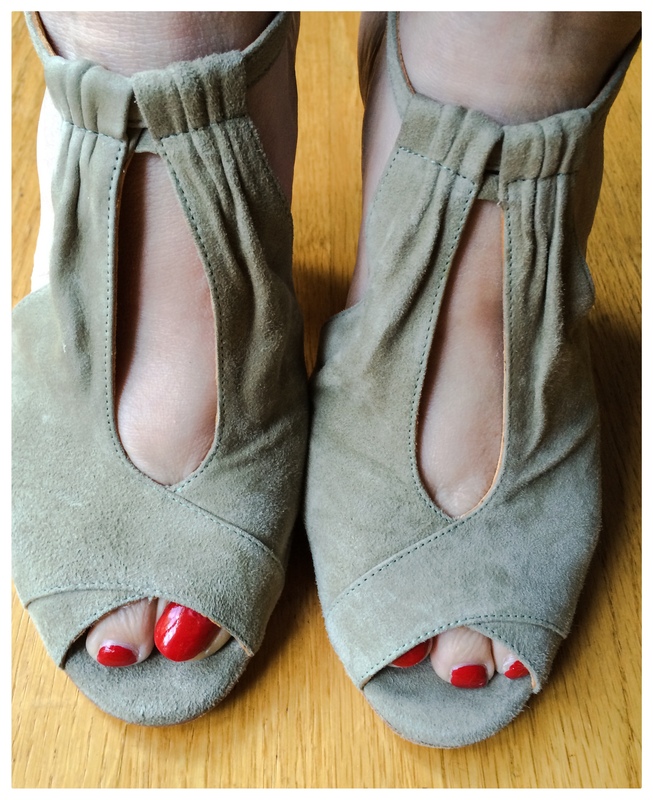 Minimal style and a minimal price – a fabulous find!